Strange as it might seem, there’s a direct relationship between hard starting and filthy oil. 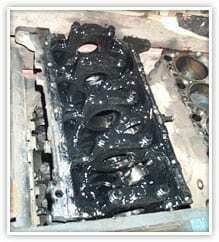 Engines need good compression to start easily. Even slight piston ring sticking will result in cylinder compression loss, and this is readily caused by dirty oil. And that can make starting hard…especially from cold. It’s pretty easy to fix though. Some diesels tend to contaminate the oil quickly with combustion soot. 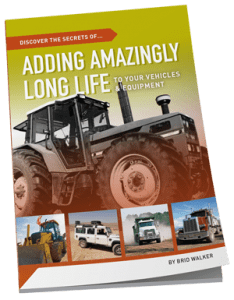 Problems arise when the new oil discolours quickly as it picks up sludge from the last oil service period. The cause is loss of oil detergency with soot overload. When this happens, the oil will stain your fingers. Deposits build up around piston rings and elsewhere. 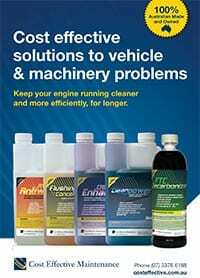 Engine performance, economy, smoke, oil control, and engine wear are adversely affected. Regular use of Flushing Oil Concentrate and Cleanpower Fuel Treatment will correct and control this problem. FOC will quickly remove all residual sludge from crankcases as well as fouling carbon deposits around piston rings and elsewhere, so that full compression is available. Cleanpower removes deposits from fuel pumps and injectors to optimize spray patterns and atomization, for a cleaner burn. This also assists with easier starting. FTC Decarbonizer (in the fuel) makes the fuel ignite easier, so definitely promotes faster starting. It also produces a cleaner fuel burn, with less production of soot to contaminate the oil, so the oil stays cleaner for longer.